The Hershey Bears, in conjunction with ABC-27 and the American Hockey League, announced today that the Capital BlueCross AHL Outdoor Classic – set for Sunday, January 20 at 5:00 p.m. ET at historic Hersheypark Stadium – will be broadcast both locally and internationally. 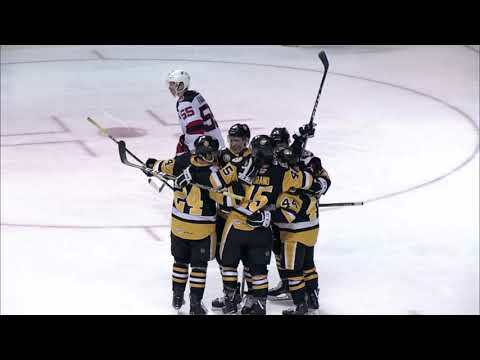 For the first time since carrying Hershey Bears games, ABC-27 Harrisburg will bring all the action of the outdoor battle between the Bears and rival Wilkes-Barre/Scranton Penguins to viewers in high definition. ABC-27 sports director Gregg Mace will provide color commentary, intermission features, in-game insight and fan perspective for the broadcast. “Voice of the Bears” Scott Stuccio will handle television play-by-play duties. The Capital BlueCross AHL Outdoor Classic will also be available to viewers outside of the United States. The game will be televised live in Canada on Sportsnet in its East, Ontario and Pacific regions, and nationally on Sportsnet ONE. The broadcast will also reach across the Atlantic Ocean via ESPN America to Europe, the Middle East and northern Africa. In addition, the game will reach a worldwide audience through streaming at AHL Live (www.ahllive.com). Tickets to the Capital BlueCross AHL Outdoor Classic also include admission to the Bears-Penguins Alumni Game on Saturday at 3:00 p.m. and a complimentary pass to Hersheypark, valid through July 4, 2013. Tickets are on sale at the GIANT Center box office, by calling (717) 508-BEAR or online at TicketMaster.com.